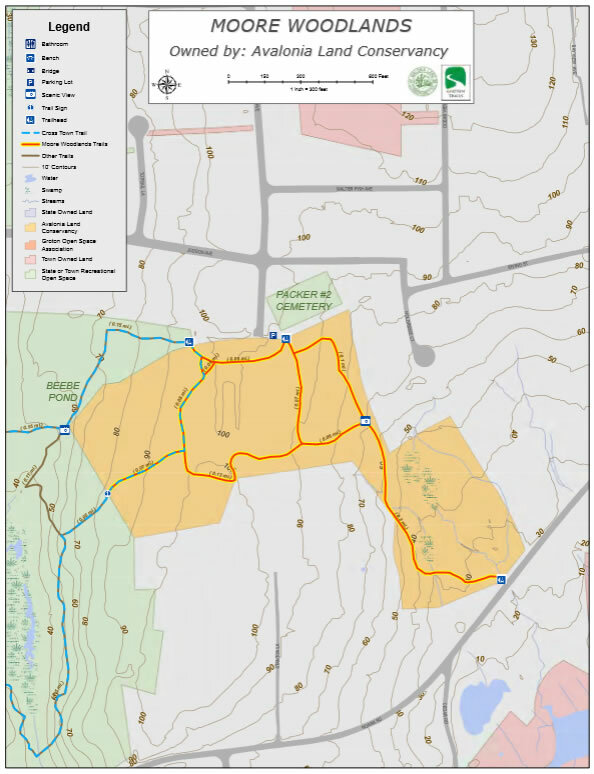 The Moore Woodlands are off of Judson Ave. and Capstan Ave. and have hiking trails that connect with the Beebe Pond Loop Trail. Access and parking is at south end of Capstan Avenue in Mystic. Approximately .8 mile of trails connects Rte. 215 and Moore Woodlands to Beebe Pond Park trails. The preserve contains both hard and soft wood with extensive wetlands draining into the Mystic River. A 10 year CT DEEP Wildlife grant to recreate an early successional habitat began late winter 2006.